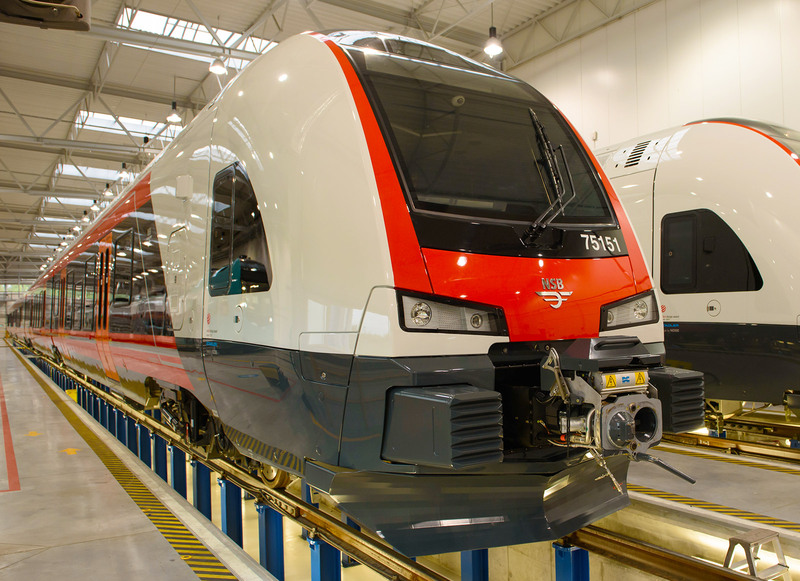 Barely one year after signing the delivery contract, the first new generation FLIRT train produced for GYSEV has rolled out from Stadler’s factory in Poland. 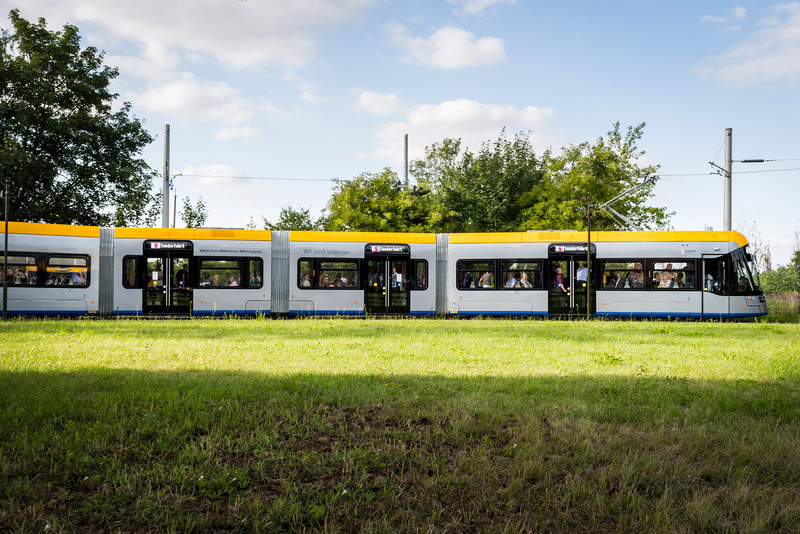 The train, which was made partly in Szolnok, Hungary, partly in Siedlce, Poland, has started its first official journey to Gdansk, where it will be introduced for the first time to the professional audiences at TRAKO railway fair. The presentation of the new train will be organized at 11:40 am on 26 September at track No.4. TRAKO is the largest and most prestigious rail transport fair in Poland, and second meeting of the rail transport industry in Europe. 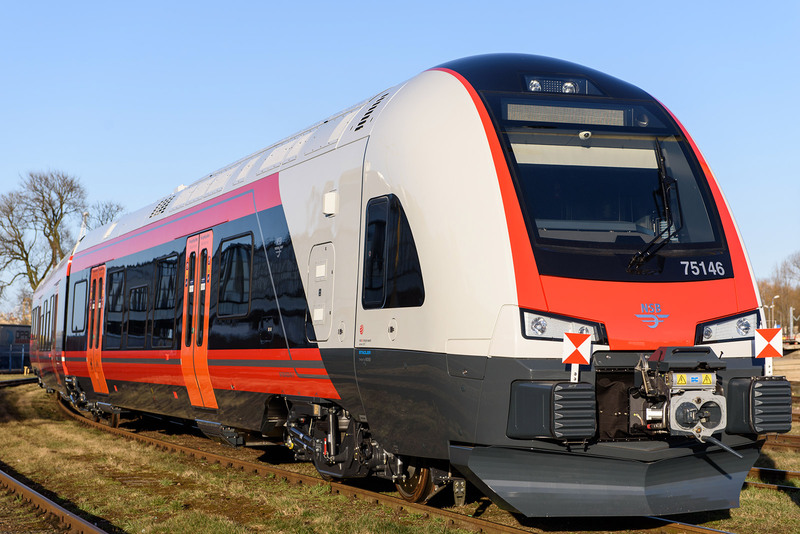 During this year’s edition Stadler Polska will present multiple units produced in Stadler’s Siedlce factory for the Hungarian carrier GYSEV and Norwegian State Rail NSB. This will also be a debut of Solaris Tram – a joint venture of Stadler and Solaris. Tramino tram for the German city of Leipzig will be displayed on exhibition tracks. Hungarian regional operator GYSEV Zrt. has ordered 10 four-car electric multiple units of FLIRT type for regional operation in September 2016. The first vehicles are expected to start service in 2018. Between 2013 and 2015 GYSEV has already purchased 10 EMUs from Stadler, which means that with this order the operator will expand its fleet to a total number of 20 FLIRT trains. 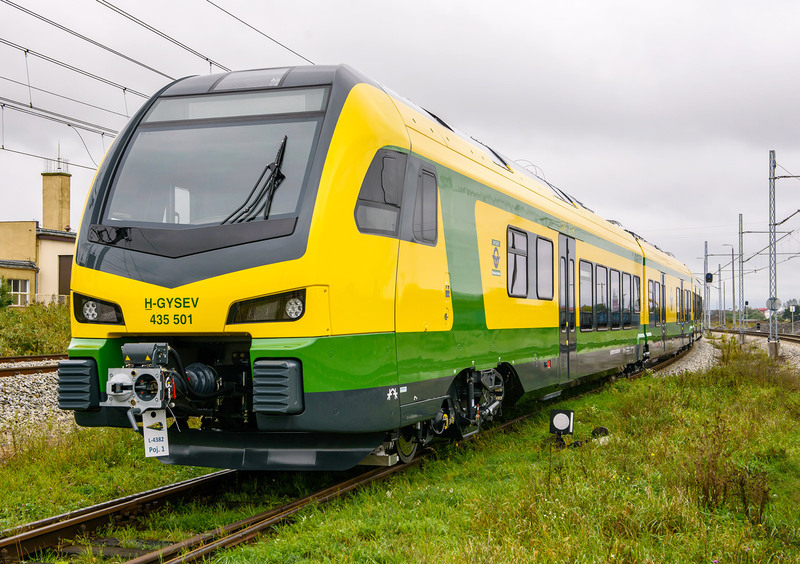 The new vehicles for GYSEV already meet the requirements of the newest TSI (Technical Specification for Interoperability) standards of the European Railway Agency, and also comply with the latest crash collision norms (EN 15227), providing more safety to the train driver. During the development phase Stadler engineers have put special emphasis on low energy consumption. Maintenance friendly design was also an important aspect. The new FLIRT feature spacious, multifunctional boarding areas that enable rapid passenger exchange. Thanks to the multifunctional areas and the high low-floor share, the vehicles are easily approachable by passengers with wheelchairs, bicycles and strollers. Meeting the requirements of today’s standards, the vehicles are equipped with air-conditioning, monitoring system, Wi-Fi, charging sockets for electronic devices, as well as box seats suitable for regional transport. 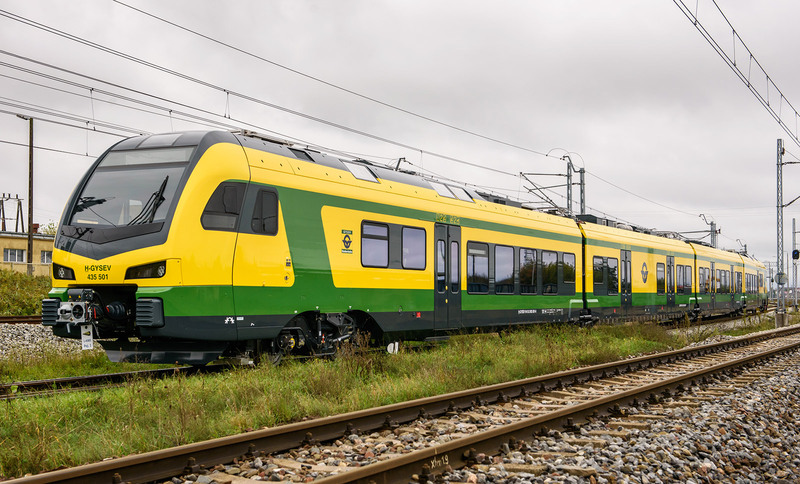 NSB has ordered 107 five-car electric multiple units of the FLIRT type from Stadler. Of these 107 trains, 71 are used for suburban rail transport in the Oslo area and specifically adopted to travel times of up to 90 minutes. The other 36 vehicles are used in Southern Norway and are specifically designed to make journeys of up to three hours a pleasant experience. The trains are homologated for a maximum speed of 200 km/h and perfectly adapted to the harsh winter conditions in Norway. During the further development of the established FLIRT range for NSB, Stadler engineers focused on travel comfort for families, the elderly and disabled. Wide entrance areas, air-conditioned passenger compartments, strong soundproofing and transparent, open interior design all together contribute to an improved passenger well-being. The trams for Leipzig boast a total length of 37.63 and a width of 2.3 meters and consist of four modules. The stylistic concept of the vehicle is the outcome of close collaboration of the customer and design studio IFS Design which allowed for the optimization of the tram in terms of comfort, ergonomics, as well as habits and wishes of the tram drivers in Leipzig. In order to ensure maximum aesthetic cohesion and to reduce noise generated by equipment mounted on the vehicle, it has been fitted with roof screens. Specially designed lighting panels were installed in the ceiling, adapting the colour and intensity of light to weather conditions. Designers have included four extremely broad, 1500 milimetre wide double-leaf doors and two one-leaf, 800 milimetre wide doors in the vehicle. The passenger information system has been improved by equipping the vehicle with special external displays for passengers entering the tram, mounted over the double-leaf doors.